Equipment: Morag Tong armor as seen in pic ^, Daedric Dagger, Daedric Tanto, silver dagger,Daedric Longbow. How he came to be in morrowind/home: Grew up in Vivec Trained by the Morag Tong Grandmaster. 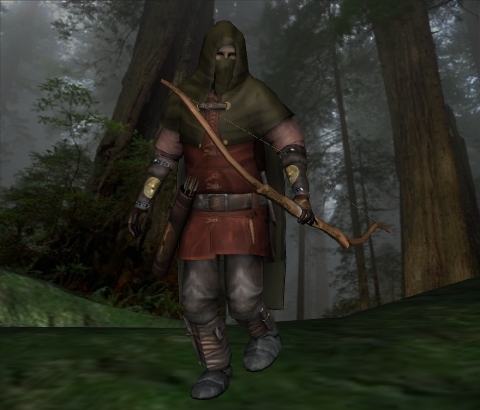 e grew up in Vivec, and from a young age he was trained by the Morag Tong Grandmaster to become an assassin. By the age of 17, he was already being sent out on missions, albeit small ones. He had no problem sneaking up on others as he wasn't very big, and was always cautious, ever considering himself better than his taarget, at least until the target was lying dead at his feet. Then the grandmaster, who had raised and trained him, had a heart attack, and Lokan was to be his succesor. And so he stepped into his role as the Grandmaster of the Morag Tong, and he had assassinated any of the high ranking members who would oppose him, and the rest he kept as advisors, at least until he had a better feel for the leadership that he now held. Clothing as seen in picture, Daedric Dai Katana, Steel Longbow, Silver Shortsword, Alchemy equipment, Steel Arrows, Iron Arrows.